As Mincor Resources looks to eventually restart its nickel operations, it’s getting prepped by starting a diamond drilling program at its Cassini deposit. 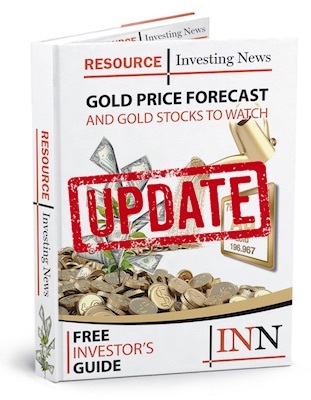 Mincor Resources (ASX:MCR) has started a diamond drilling program in the Kambalda region of Western Australia to test for possible extensions to its Cassini nickel sulfide deposit. The program comes as part of a regional exploration initiative from the company to expand its nickel mineral resource and reserve inventory at Kambalda. So far, a maiden resource of 550,000 tonnes at 3.4 percent nickel for 18,700 contained nickel tonnes has been established at Cassini. The results, which came earlier this month, pushed the total mineral resource estimate for Mincor’s Kambalda holdings to 3.3 million tonnes at 3.6 percent nickel for 118,000 contained nickel tonnes. Prior exploration drilling at Cassini’s CS2 and CS4 channels displayed high-grade intersections with the mineralization open down plunge. The new diamond drilling program will feature a step-out section close to 120 meters down plunge from the current resource boundary. The program will also test Cassini’s CS1 channel, which has previously shown “highly promising” nickel intersections during earlier drill programs. Cassini is one of Mincor’s multiple assets in the Kambalda area, and according to the company, “represents a priority focus” for restarting nickel operations. The company’s assets also include Durkin North, Ken/McMahon and Miitel/Burnett. Mining studies are underway at Cassini for economic viability establishment and a review of Durkin North’s mining approach is in the works to improve its ore reserve grade. Due to a consistent decline in nickel prices through 2016, Mincor opted to wind down its operations and cease production in February of that year. While its nickel mines are now on care and maintenance, bankable feasibility studies for Durkin North and Miitel/Burnett have made Mincor confident in resuming production once nickel prices improve. Mincor had risen 2.7 percent by the end of trading on Monday (August 27), closing at AU$0.38.